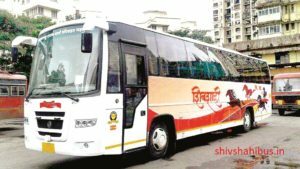 “Apart from catering to passenger needs, the Shivshahi bus service also aims to attract train passengers to opt for shivshahi bus. While the inaugural run of the Shivshahi bus service was along the Mumbai Ratnagiri route on June 10. The state transport has decided to introduce the service on the Latur-Pune route. Passengers can reserve their tickets Fees of Rs 501 per adult passenger has been fixed for the bus service. Passengers can reserve their tickets at — https://public.msrtcors.com. The MSRTC currently does not run any AC bus service between Pune to Latur route. Shivshahi buses will be first bus which runs on this route. Pune is the education hub of India therefore many students from marathwada (a region of Maharashtra) living in pune. Passenger number is huge on pune latur route but most of them choose private buses or train travelling before. MSRTC wants to capture attention of those passengers by providing high quality services at lower fare ticket. The most important MSRTC provides safety to all passengers therefore most of passengers wants to go with it. Maharashtra State Road Transport Corporation started new bus service from Pune to Latur. Two major cities of Maharashtra state. Maharashtra State Road Transport Corporation started new bus service from Pune to Latur. Both are two major cities of Maharashtra state. Lots of passengers opted private luxury buses to travel from pune to latur. MSRTC decided to provide semi luxury bus (Shivshahi bus) which will provide best quality services at nominal fare ticket. Latur is the major city of marathwada in Maharashtra state. Thousands of passengers daily travel from pune to latur / latur to pune. Shivshahi bus moved attention of passengers from private bus to MSRTC bus. Many of them travel with trains, Due to crowd and lack of customer service from trains passengers like to travel with buses. In previous days MSRTC doesn’t have bus to fill the gap between Shivneri and Parivahan buses. Because Shivneri have highest class of state transport buses and Parivahan buses considered as economical buses. Parivahan buses doesn’t have air conditioned, lack of comfortable seats as compare to Shivshahi buses. MSRTC had no bus before Shivshahi to provide good services at economical fare ticket. With the Shivshahi bus entry Maharashtra state public transport filled the gap between Shivneri and Maharashtra Parivahan buses. 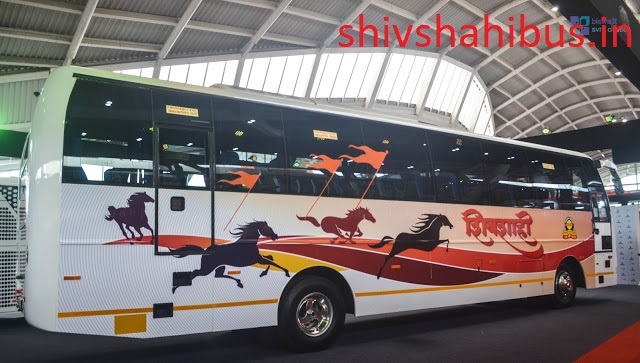 So shivshahi bus can provide good quality travelling experience at economical fare ticket.